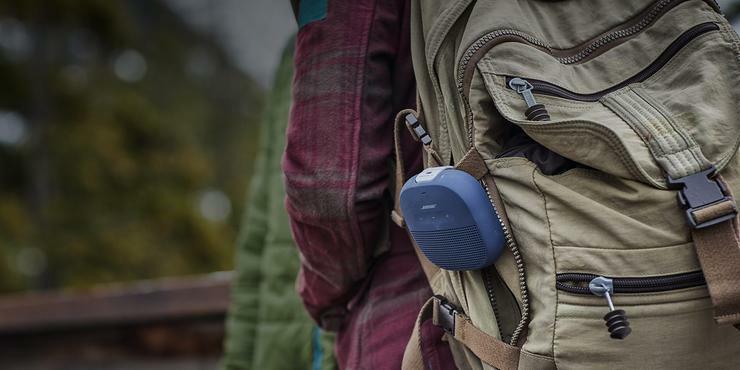 Bose has introduced the SoundLink Micro Bluetooth speaker, its smallest, most rugged, portable speaker yet. “For listening on the go, there is nothing quite like the Micro,” said Brian Maguire, Director, Bose on-the-go products. Measuring just 9.5 centimetres wide and deep, 3.8 centimetres high and weighing just 290 grams, the Micro is tiny - until you turn it on. With unmatched sound for its size, and tested beyond its IPX7 waterproof rating, the Micro lets you enjoy music, take and make calls, and access Siri or your Google Assistant. The Micro is packed with technology. A new custom transducer, miniature dual-passive radiators, and a rechargeable lithium-ion battery were engineered together as a micro system. Centimetre for centimetre, the Micro delivers a different kind of mobile audio - up to 6 hours of surprisingly loud and clear audio and low bass - from an enclosure that fits entirely in the palm of your hand. The Micro is tough. It will survive summer’s extreme heat, winter’s bitter cold and more than the industry’s IXP7 rating. Waterproof from the inside out, it was made and tested to withstand salty, chlorinated and soapy water. It’s soft silicone exterior protects it from scratches, dents, cracks, dust, dirt and sand. The speaker uses simple voice prompts for Bluetooth pairing, has an integrated speakerphone, and a multi-purpose button to take calls, make them and access your VPA with one push, all without needing to touch your phone. When used with the Bose Connect app, it can sync with other SoundLink speakers for Stereo Mode or Party Mode. The new SoundLink Micro comes in Black, Midnight Blue, and Bright Orange. It will be available September 22 for A$169.95 and NZ$199.95 at Bose retail stores, Bose.com.au, Bose.co.nz and authorised Bose dealers. Pre-orders available only on Bose.com.au and Bose.co.nz.